Software security solutions from Micro Focus Fortify cover your entire software development lifecycle (SDLC) for mobile, third party and website security. Work for Micro Focus Fortify? Learning about Micro Focus Fortify? "Please with Microfocus for over a decade"
Automation has been extremely easy to learn for our offshore vendor partners and our onsite employee leads. Script re-use has increased as well. steep learning curve but powerful set of tools. The execution is very slow. Its great and meets all of our needs. PE technical and core teams including the sales teams have been very prompt at addressing our needs. We were able to chart the course to maturity as an organization by complementing our vision with their products. The tool is effective in object identification of a variety of applications but is slow overall. The tool is effective in object identification of a variety of applications but is slow overall.Great products and saas service. Excellent communications and followup from HPE account manager. We were able to chart the course to maturity as an organization by complementing our vision with their products. The response time for analysis report is pretty fast and very well detailed. The reports are very granular and the communication with the vendor is pretty much instantaneous. Sometimes the level of effort to fight a "red flag" in the code can be overwhelming. This requires engaging senior level people to agree on something. It feels like going through an audit and having to fight the major discrepancies. That is very time consuming. I would defeinetly recommend this product to anyone looking to validate the security and the quality of the code of any custom application. I probably would recommend the SaS versus the on premises solution. Our code must meet certain security standards that must be validated by a third party such as HPE Fortify. That gives our customers the assurance that our code is secure and optimized to meet their requirements and security standards. What Dynamic Application Security Testing (DAST) solution do you use? "A great component of the SDLC"
We use the HP Fortify on Demand SaaS, this allows us to free up resources from having to spend time maintaining the infrastructure. The product allows for RBAC, which helps in allowing appropriate access at all levels. We have implemented a process of Scan-at-Build, this allows us to ensure that continuous testing is performed. Additionally, we have enabled SSO, so that developers are able to login to check results as well as add commentary information. What I liked about micro focus is that they are are extremely easy to learn and use which is great for people of all ages. There wasn't much to dislike about this product they are constantly working to improve it. The price could be a bit lower but its still not terrible. "Great Saas with the flexibility to growth "
The ability to scale and growth from a on site centralized location, to a more of SaaS cloud based. The ability to have a centralize location for all security monitoring and testing within one system and application. While also having the ability to develop any new processes. The application is very flexible in regards to setting up shop. Meaning it gives an entity the flexibility to develop according to their respective budget, company direction in regards to Portal Web Based, in house hosting, or a matrix or both. If the application is set as a self-service tool, SaaS., it takes away some of the leverage of in-house fixes. Yes the cost is much more attractive to a smaller organization. However, for a larger entity. The upfront cost of setting the infrastructure for the application to be in house, would out weight some of the troubles of migrating later in time. Truly test and each case scenario for implementation. Meaning just because on option is cheaper up-front, it does not necessarily will be the best solution for the next 3, 5, 10 years. Think of all the possible outcomes and what the company needs not just today but years down the road, to avoid possible migrations and added cost due to poor internal planning. continuous process improvement within the security layer of the enterprise. The ability to test and obtain real time information on issues, while gaining recommendations. Customer service has not been great. Not intuitive so takes some time to get really into it. I guess it works great for securing data, but it takes time to really learn how to use it. If you have problems are basically left to figure it out yourself. It is a great tool as part of the «toolbox». We use the software for testing for us to meet the security standards. It benefits us in the sense that we feel confident that we meet the requirements of the security standards. "Good code scanning tool for code security"
Its a good tool which scan our code and gives us the security issue in our code which can be cause of our application hack. Its also gives us recommendation in our code to best use. in Recent version they have come up with very nice UI along with many other features. UI was little slow, like we are opening any issue in tool its taking more time to loading in tool UI. Its solving our application security issue by analyzing our code and giving recommendation for security fallback in our code. HPE Fortify's scans are the best in the industry. There isn't a competitor that can match them in their feature suite and the depth of their product. The workflows are designed well and with the UI upgrade, it actually looks decent. Their expertise comes at a cost. Literally, they are expensive. It also requires a special setup to get the application installed and running correctly. In addition, the upgrade process is not clean and can break existing profiles. Usability suffers a bit from the newer UI because trying to get audits done, now requires navigating through more screens. This solves the problem of vulnerable software code. The automated process pinpoints problem areas for the organization to address. "Doesn't really do as it says"
Scans are thorough, easily distributed. Branding. Perceived integration. Returns many false positives - for example identifies any variable with the name 'key' as a stored encryption key violation. Doesn't understand the context of code, or entry points for an exploit. Cumbersome in execution (will monopolize a machine's resources while running). Shop around. Identify what need it for first before signing on. Intended use for security reasons and strengthening code. Unsure of benefits at this time. "Best tool for code analysis and security"
They launched new version with very nice User Interface along with many other features. Its a good tool which scan our code and gives us the security issues in our code which can be cause of our application hack by hackers. Its also gives us recommendation in our code to best use. Tool was little slow, like we are opening any issue in tool its taking more time to loading in tool UI. Fortify is solving our application security issue by analyzing our code and giving recommendation for security issues in our code. it helps spot any flaws in our security application system. it helps quickly spot flaws in our applications and security. "Great security testing and static code analysis tool helped in finding security vulnerabilities "
"Best security vulnerability scanning tool"
"Flexible security monitoring for applications"
Fortify has a magical dashboard where you can find and detect your security issues in your applications. I would like a more flexible GUI to edit and design reports. Best tool for detect application issues. Client portal is real helpful. Projects status in real time creates a streamlined process internally and externally. Currently we have not delve very far into the program to have dislikes. "Excellent service and support Needs for visiabilty"
Excellent service and support, technology and road map meet our requirements the best. Provides hybrid solutions. Which will help customer with integrating stuff. * We monitor all Micro Focus Fortify reviews to prevent fraudulent reviews and keep review quality high. We do not post reviews by company employees or direct competitors. Validated reviews require the user to submit a screenshot of the product containing their user ID, in order to verify a user is an actual user of the product. Hi there! 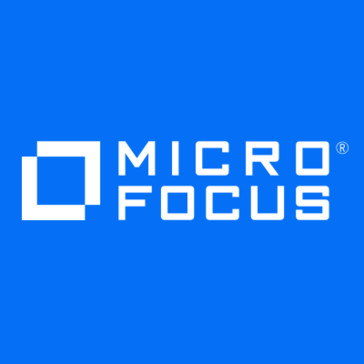 Are you looking to implement a solution like Micro Focus Fortify?